For as long as there has been commercial oil and gas extraction, the industry has faced the challenge of accurate measurement. From allocating production to each well’s stakeholders to monitoring the oil and gas delivered, everyone involved in the oil and gas industry has a vested interest in ensuring flow measurements are correct. Over the years this has given rise a variety of metering technologies. The increase in the market for oil and natural gas has, in turn, created a demand for different flow meter types. Here are the pros and cons of today’s preferred flow meters used in petroleum industries. 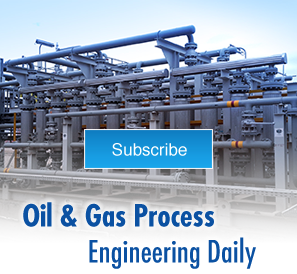 The technology used to measure flow in Coriolis flow meters is not new to the oil and gas industry. The first industrial patents for Coriolis flow meters date back to the 1950s with the commercial production of Coriolis flow meters beginning in the 1970s. What has changed is refinement of the meters. The original designs were highly accurate, but they featured a single tube with thin walls. This produced accurate measurements as a function of the tube distortion created by high fluid velocities through the tube. Unfortunately, the practicality of this design was limited due to vibration issues. This problem was eliminated by the introduction of two-tube designs. All Coriolis flow meters work using the same principle. Fluid flowing through oscillating tubes creates inertia, causing the tubes to twist. The amount the tube twists varies in proportion to the mass flow rate. This is measured with sensors and flow meter transmitters to generate a linear flow signal. There are several advantages to Coriolis flow meters. They are highly accurate, and Coriolis mass flow meters can be used effectively on a wide range of petroleum products from crude oil flow measurement to natural gas. Coriolis flow meters provide a direct measurement of mass flow rather than volume. This makes them ideal for use by the oil and gas industry since the heating value of the petroleum products is of primary concern, rather than the volume. Direct mass flow measurement provides faster access to the necessary measurement data, and after the initial flow meter calibration procedure during manufacture, the accuracy under a range of conditions is highly sought-after for tracking custody transfers. For help with custody transfer metering of your hydrocarbon liquids, consider the IFS LACT skid. Coriolis mass flow meters are typically found in one to four-inch diameters, although larger diameter designs have now become more widely available. Coriolis mass flow meters are typically more expensive to purchase than meters that measure volume, but that cost can be offset by their lower maintenance requirements. Using sound waves, ultrasonic flow meters determine the velocity of fluids flowing in a pipe. There is a linear shift in the frequency as the speed of the fluid increases. Ultrasonic flow meters come in both inline designs that are mounted inside the pipe, and clamp-on models that can measure from outside the pipe using transducers. The accuracy of clamp-on flow meters is lower than inline models, so they are typically used for temporary applications like spot checks. Ultrasonic measurement has been approved by the American Gas Association (AGA) for custody-transfer applications since 1998. In order to ensure accuracy, ultrasonic flow meters used for custody-transfer measurements must include at least three paths and may include as many as 18 paths. Unlike Coriolis mass flow meters, ultrasonic natural gas flow meters and those designed for crude oil can be used inline for pipes that are 20 inches and larger. The ability to clamp ultrasonic flow meters onto the outside of pipes makes them ideal for certain applications. Ultrasonic flow meters also tend to be fairly durable and low maintenance. The disadvantages to ultrasonic flow meters include their high purchase costs and the potential for outside noises to interfere with the readings. Dirt and debris within the line or a build-up of materials on the inside of the pipe can negatively impact ultrasonic flow meter performance and accuracy. 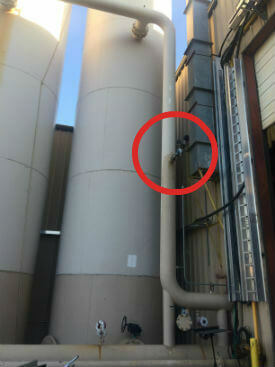 In addition, the thickness of the pipe walls can affect the precision of clamp-on ultrasonic flow meter measurements. Gas and oil flow measurement is more accurate when the quality of fluid or gas is subject to little variation. Thermal flow meters typically work by measuring the speed at which heat dissipates after being injected into a gas flow stream. They are used almost exclusively for the measurement of gas. Heat dissipation will vary depending on the composition of the gas and the temperature. This makes thermal flow meters more appropriate for uses when either the variables are minimized, or that level of measurement accuracy is acceptable. These types of meters use a mechanical rotor attached to a shaft within a pipe to measure the volume of oil, gas, or vaper passing by it. The rotor’s blades use energy from the flow stream to rotate and, as the speed of the fluid increases, the rotor spins more rapidly. The resulting rotational speed of the shaft is determined either by sensors or through mechanical means. The IFS metering skid uses turbine flow meters to accurately measure various hydrocarbon liquids. Commonly, magnets on the rotary blades are used to allow sensors located outside the pipe to detect the rotor’s movement. The sensing and transmitting system then uses these signals to determine the volume of material traveling within the pipe. Turbine flow meters are mid-range regarding costs and tend to work best for gas. They can work well within pipes that are transporting debris-free fluids or gases with relatively steady flow rates. They do not work as well in cases where there are considerable variations in flow. The bearing and other mechanical parts can wear out and require replacement. Turbine flow meters can be used to measure mass if the properties of the gas are known. Otherwise other sensor readings are necessary to calculate mass. Like ultrasonic flow meters, differential pressure flow meters measure volumetric flow. Differential pressure flow meters do that by using Bernoulli’s equation. For differential pressure flow meters, a constriction is added to the pipe. This lowers the pressure within the pipe as the fluid or gas crosses the flow meter. As the amount of flow through the pipe increases, the size of the pressure drop proportionally increases. A transmitter receives the data on each set of pressure readings, and it uses that information to calculate the differential pressure to determine the volume of the flow. Differential pressure flow meters are relatively low cost. In order to have the metering optimized for different types of fluids and gases, multiple versions of the differential pressure flow meter may be required. To determine mass flow for gases, differential pressure flow meters must be combined with other sensors for temperature, pressure, gas composition, and density. Although differential pressure flow meters are approved for use for custody transfers, their use for this purpose is in decline. Due to the less accurate measurements and the necessity to account for multiple variants like temperature that can dramatically impact measurement accuracy, other types of metering are becoming preferred, particularly when measuring gases. Clearly there are numerous metering options within the oil and gas industry. The preference for specific types of metering systems has varied over the years due to changes in metering technologies. Another significant factor has been the evolution of the industry from being dominated by traditional crude oil extraction to the growth of natural gas, shale gas, and fracking. This has increased the demand for a broader range of natural gas flow meter types that can provide low maintenance, accurate metering in a range of conditions. This led to the manufacturing of Coriolis mass flow meters in larger sizes and various configurations, as oil and gas companies embraced faster, more accurate metering that doesn’t require adjustment for variables like temperature. For more information about reliable Midstream O&G process systems or facilities packages, contact IFS today.